Click on the "Survey" tab (in the manage toolbar). Click on "View surveys" in the left menu. 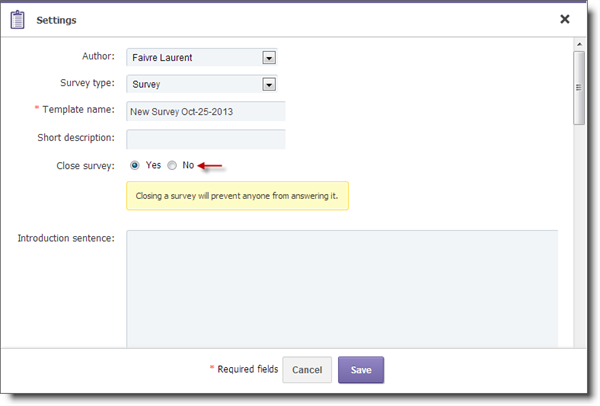 Search for your survey and click on the "Settings" button. 6. Finally, in the "Close survey" section, select "Yes" and "Save".